As the iPhone 6s and 6s Plus, as well as the long-rumored 12.9" iPad Pro are now official, we all turn our heads towards the next year, when Apple's expected to unveil the iPhone 7 and 7 Plus. Provided that the 6s and 6s Plus are not even out yet, it's extremely early to spin the rumor roulette about the upcoming iPhone generation, as we probably have roughly a year before they will get unveiled. Yet, one of the first rumors regarding the next-gen iPhone has just hit us. According to Commercial Times, a Chinese newspaper, the Taiwan-based TSMC (Taiwan Semiconductor Manufacturing Company) will be the exclusive manufacturer behind Apple's next mobile chipset, the Apple A10 SoC. According to the rumor mill, it will be a 64-bit chip based on TSMC's in-house 16nm FinFET manufacturing process, while the WLP (wafer-level packaging) of the chip will also be TSMC's own backend integrated fan-out (InFO) one. Back in March 2015, we told you that TSMC is expected to score as much as 70% of the Apple A9 chip orders, but according to newer tidbits of information, TSMC and Samsung have split the production of the silicon in two equal parts, each taking 50% of Apple's orders. As a refresher, the Apple A9 is manufactured on either a 14nm or 16nm manufacturing process. Interestingly, a few months ago we told you that TSMC is testing its own 10nm chips that would give it advantage over Samsung in the race for more Apple A10 orders. We don't know whether TSMC's tests have been successful - if they have been, it might be speculated that the Apple A10 could turn out to be a 10nm chipset. Still, TSMC was also rumored to be the sole manufacturer of A9 chips, but this turned out to be untrue, so we will take the new rumors about the Taiwanese chip maker's exclusive securing of all A10 orders with a bit of salt. Yet, we shouldn't rule out the possibility that Samsung won't be among the makers of the Apple A10. Even if Samsung were before Intel to 10nm, it wouldn't be true 10nm, just like how Samsung 14nm isn't a true 14nm, but a mix of 14nm and 20nm. As an Intel investor I am happy to read this rumor. Makes the extra Tock from Intel not sting so bad and makes sense. Maybe we will see Broxton Enhance at 14nm with an extra Tock. So far only the Exynos and A9 has 14nm in the marketplace selling at approximately $30 that doesn't amount to much revenue or profit to push 10nm. Does this warrant the breakneck pace to chase Intel? The economics don't make sense but I am happy to watch Samsung and TSM try. I wonder who will give up first? I'm thinking TSM but we will see. Well I expect more going into lovering power consumtion for the iPhone 7, which will hopefully come with drastically thinner design. So there shouldn't be as huge perofrmance increases as this year. Then why we should even talk about a chip, that is faster than the fastest chip, which isn't even released ? Then we don't know who made A9. My bet is exclusive TSMC just like A8 (and A10 ?). Apple annonced A9 uses new transistor structure (Fin Fet). That may be because they split for production (and took higher production at the cost of some possibly significant performance variability) but I think it was said so to prevent spreading TSMC/samsung marketing BS about "14"/"16" nm proceses. For simplicity, 14 nm samsung process and TSMC 16nm process are rather similar. For a bit more depth, they are both just modified 20nm proceses with FinFet transistors. If the rumor turns out true, then Apple makes a wrong decision. Choosing a small company over Samsung who has spent $14b in R&D doesn't make sense. But hey, does it matter for Apple? As we all know they have never included latest hardware on their overpriced iPhones from the beginning. That choose has already turned out to be a runaway sucess with the efficiency and wide availability of A8 and A8X chips. Samsung wasn't even planning to mass produce 20nm and as Apple wanted to use the latest tech, they were forced to TSMC. That contradicts you. And btw which technology the A9 lacks ? It's the fastest and most efficient as it runs out of a small battery, and it could be made at both fabs, but I think it's TSMC exclusive too, so what is Apple loosing when not going to samsung ? It lacks latest modem (it always has), best screen ( and resolution) technologies. 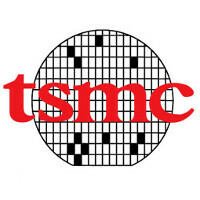 TSMC is the world's largest semiconductor foundry for ARM SoCs. What are you smoking? In 30 days we will read Samsung is producing 50% of the chips again because TSMC can't keep up. Or maybe Apple is pissed because they are going to lose their US case to Samsung and will have to pay Samsung all they spent in legal fees to fight the case that Apple should have never won in the first place. Apple will always get the cheapest item which will get the job done properly and in some cases alomost properly. TSMC must be code for Samsung.